The Internet Chess Club is the proud sponsor of the U.S. Team at the World Chess Team Championship being played in Dresden, Germany. This year there is a record in participation: over 580 chess players and 127 teams are competing compete to obtain the title “World Champion” in the categories 50+, 65+ and in the women's section. 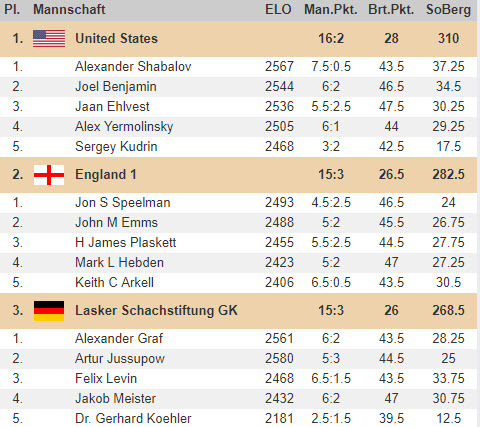 The U.S. team, in the 50+ section, WON the World Championship! Our collaborators GM Joel Benjamin and GM Alex Yermolinsky kept us posted about the results and sent us exclusive photos from the event! 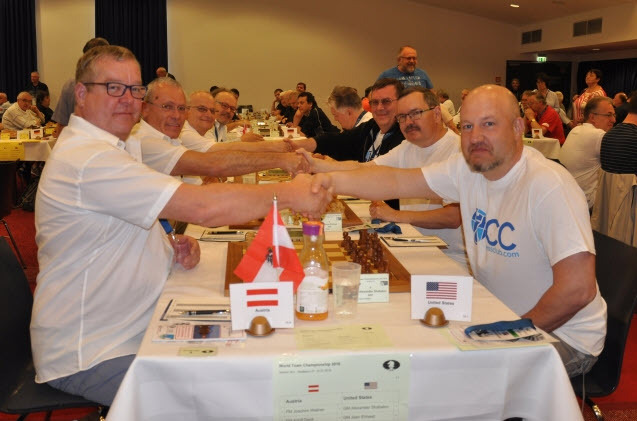 Here is GM Yermo's report from the Senior World Championship! Here is GM Joel, sporting the ICC t-shirt! In the photos, the U.S. Team face Austria in round 3. Our Team won 3-1. GM Jonathan Speelman, a long-time ICC collaborator, is there in Dresden playing for England. All the best to our friend Jon!